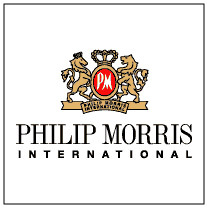 Philip Morris International (PM) appears to be a solid international play, operating in the somewhat murky waters of the tobacco industry. I say murky because although tobacco laws are not as stringent outside the U.S. and lawsuits are not as omnipresent, you always have to be careful investing in an industry where the product the company sells causes health problems to the people buying said product. That being said, this is a very profitable business, and if investing in tobacco companies doesn't go against your moral code, I think this is a solid play. Owning almost half of the leading international brands in any product segment is appealing, coming from an investor standpoint. This, to me, is no different with tobacco. There appears to be significant brand loyalty with cigarettes, so this bodes well for Philip Morris. Owning almost half of the leading international brands gives Philip Morris an enviable spot, and I would say it has an economic moat due to its brand loyalty, economy of scale on a global footprint and the fact that the products it sells are addictive. Let's take a look at some numbers. I can't include numbers as far back as some of the companies I look at because Philip Morris was spun off from Altria (MO) in 2008. The numbers I'm posting are from 2008-forward. Earnings per share has grown at a rate of 8.7%, compounded annually, over the last two years. Obviously, two years is a short time frame to try and analyze a company, but this company was part of Altria for many years so it's hitting the ground running. This isn't your local start-up. Revenue has grown by a rate of 2.9%, compounded annually. This is a lower number than I expected, but I think this number will be close to double digits going forward. The growth from 2009-2010 was almost 9%, and analysts expect revenue to grow by 11% this year. As always, dividend growth is my favorite metric to inspect. This is where Philip Morris shines, and probably will continue to shine as time goes on. This isn't a dividend growth stock if you consider that most investors need at least five years of growth to invest, and some need ten. I feel that having a long history as part of Altria gives it the benefit of the doubt here. Dividends have grown by 25.87%, compounded annually over the last 2 years. Huge growth here, but this is largely skewed by the fact that 2008 only had 3 dividends paid due to the split that year from Altria. The 1-year growth from 2009-2010 was 8.93%, which is certainly a realistic figure going forward. The entry yield as of this writing is 3.88%, which is attractive, but not as attractive as some other tobacco stocks. I like the international growth prospects as they rank either #1 or #2 in the top 3 cigarette markets in the world (except the U.S. and China). I'll sacrifice a little yield now, for growth later here. The payout ratio is 63%, which is very comfortable and even perhaps a little low for a tobacco company. I feel there is plenty of room for growth of the dividend. Overall, I'm a buyer of Philip Morris at current prices. I think it's attractively valued with a current P/E ratio of 16.19. That's a great valuation for a company with a strong yield, excellent growth prospects, a great product lineup and let's not forget the product is addictive. S&P has Philip Morris at a 5-star STRONG BUY. I generally agree with that. The stock did recently touch a lifetime high at $71.75 and has since scaled back to the mid-$60's. I would like to be patient with this stock and see if it scales back even further, perhaps to the high $50's. At any rate, I like it at it's current price and would consider adding to my position. Disclosure: I am long PM.